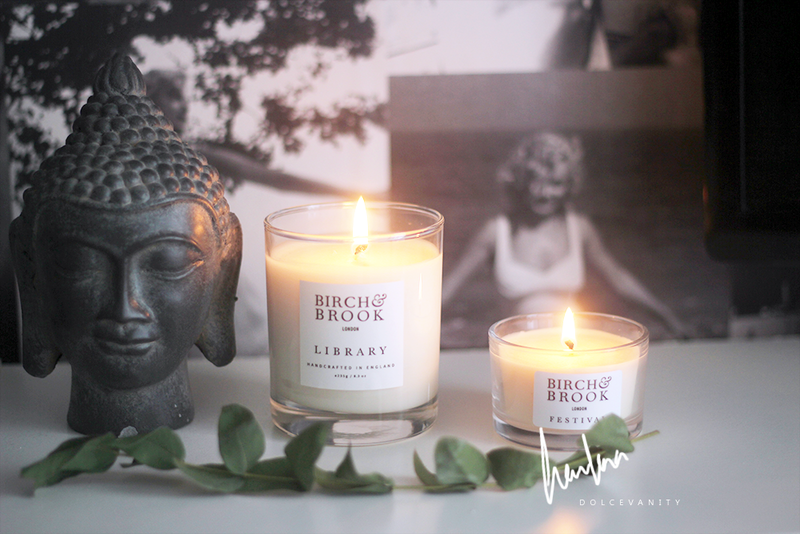 Birch & Brook London Library Candle. By now you should know the two things besides make-up that I love our perfume & candles so when I was contacted by Birch & Brook London to review their candle I was more than happy to say, Yes Please! I know some people don't mind paying for a luxury candle but my trick with them is to burn them for roughly 5 - 10 minutes, blow them out and you'll have the aroma still around you in the room to relax you. I was sent two candles their Library and also the Festival travel candle. It's warm and and with the woody notes I can see why it's called library, burning this while reading a book on an afternoon or evening, especially like the time I'm writing this now, it's overcast but I can still see some of the sunset. Burning this next to me while typing this up, gives a feeling of wanting to be in a wood cabin ha! It's truly a beauty. "A time-yellow page is turned; A clock ticks. Sunlight glances through a high window and another world calls...."
Moving onto the travel candle, Festival. Probably my favourite out of the two if I was to pick. My goodness, more and more of this please. Flipping beautiful. I love to burn candles all year round, yes it's more cosy in the later months of the year but it can't be faulted to use this one whenever and to even burn this during an evening get together outside with friends and having this burning. It'll put everyone in a relaxed vibe. Who knew a candle could smell so divine. "Rich, exotic scents drift over sun-warmed grass. Tassels and features rustle in the wind as Hedonism beckons." Have you tried Birch & Brook candles before?